Most landlords require a security deposit, sometimes called a safety or damage deposit, prior to you moving in. They do this as a safety net in case tenants cause any damages during the time they live there, and the money goes toward repairs or cleaning beyond what would occur through normal wear and tear. Fortunately, you can usually get your full deposit back after you move out if you leave your rental in the same condition as when you moved in. To help get as much of your deposit back as possible, we’ve compiled a list of tips and tricks you can follow to put a little extra cash back in your pocket when it’s time to move. Before you move a single thing into your new place, conduct a walk-through inspection with your landlord or a representative of the leasing company. Take note of everything, no matter how small. Holes in the walls, cracks in the windows, chipped tile–point everything out to your landlord and make sure they take note of it in writing and/or a photograph. You should also do the same and keep a copy for your own records. When you move out, repeat that process. Walk through with your landlord and note any areas that require repair or cleaning. Once again, ensure that both you and your landlord have thorough documentation to lower the chance you’ll get a nasty surprise bill in the mail a month or two later. If you aren’t the tidiest person, develop the habit now. Landlords usually don’t necessarily expect a completely spotless apartment when tenants move out, but they expect a reasonable level of cleanliness. That means you need to remember to clean your kitchen and bathroom from time to time and give everything a thorough scrub before you go to get everything into tip-top shape. That means vacuuming, mopping, the whole nine yards. This will save you a lot of anxiety from panicked, last-minute cleaning on move-out day. When something breaks or otherwise stops working properly, tell your landlord, property manager, or maintenance team as soon as you can. Keep records of when the problem occurred, when you reported it, and when the issue was addressed. Even if the problem is never addressed, make sure you a have a note for future reference. For example- if the dishwasher breaks through no fault of your own and you report it appropriately, but no one ever comes to fix it. You’ve done your part. The landlord can’t hold you responsible for the cost of repairing or replacing it. If you don’t say anything and just hope it won’t be noticed after you move out, though, you’ll still be on the hook for it. If possible, ask your landlord or a member of the maintenance crew to walk through your apartment with you before you move and point out any areas of simple improvement that you can do on your own. For instance, if there are areas where your furniture scraped the walls and chipped the paint, ask your landlord or maintenance person if they have any spare paint stashed anywhere (in order to get an exact color match) and if they mind if you paint the spots yourself. Tighten loose bolts, patch holes in the walls, and perform other simple maintenance tasks to get more of your deposit back. 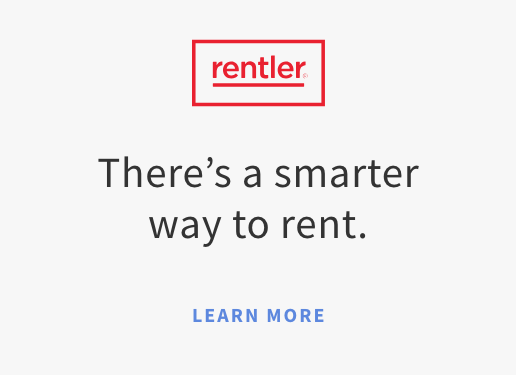 Tenant laws vary by state, so be sure to check the rules in your area for specifics. Generally speaking, your landlord will have between 14 and 60 days to either return your deposit or an itemized list of deductions. In this list, they must detail exactly what is being repaired, replaced, or cleaned, and how much it costs, along with reasonable labor costs. Most landlords are honest, but unfortunately, some will try to take advantage of tenants and skirt the law by neither returning the deposit or providing a list of damages and repair costs. This is illegal, and if your landlord does not do one or both within the given time frame set forth in your state’s laws, then you are legally entitled to the return of your full deposit, regardless of any damages that may or may not be legitimate. If pointing this out to your landlord doesn’t get you anywhere, you might want to consult with your local housing authority or an attorney to explore your legal options. Moving isn’t cheap, so every penny saved helps. With just a little planning and initiative, you can maximize your deposit’s return and put the money toward something else, even if that’s a future deposit on a new place.